KSR Architects has replaced a large house on an L-shaped site in St Johns Wood with two luxury family houses.The semi-detached 500 sq.m dwellings are on three floors, including a single basement level with individual car stackers providing space for two cars. A contemporary design approach is used on the front facade to give each five bedroom house a polished signature and identity while providing a cohesive design that has presence. 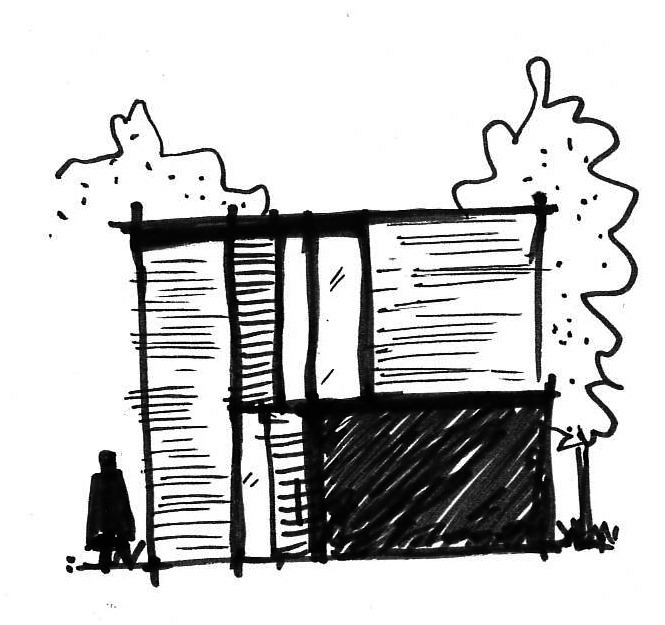 A hand-made, dark brick is proposed, not dissimilar to that found in the neighbourhood; although longer and thinner in proportion to complement the contemporary design. Sections of hardwood cladding add extra warmth to the developments frontage and links creatively with the garden design.